On Saturday May 9th my son will graduate from North Carolina State University, the first Lucey in our direct line to receive a bachelor’s degree. We had no idea when he first enrolled, but this was not the first time a Lucey attended the university. 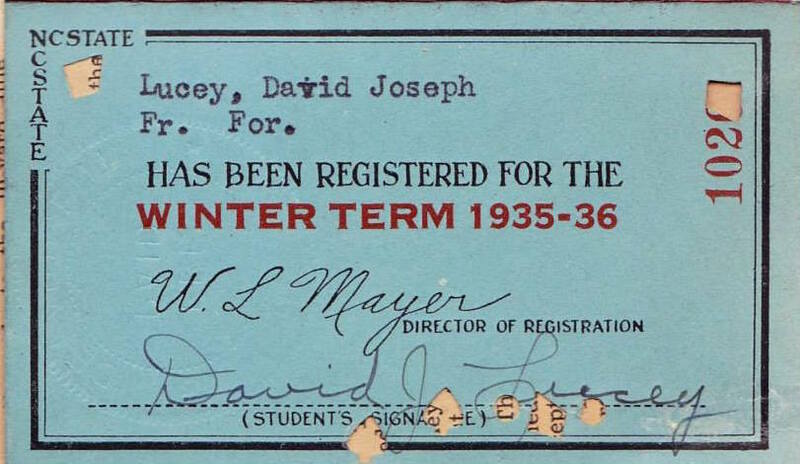 In 1935 David Joseph Lucey travelled from Dover, New Hampshire to play football and pursue a degree at what was then North Carolina State College. Dave made a splash at NC State, scoring the first touchdown of the season (against Wake Forest) for the freshman football team, but he would play just the one year. His mother became ill and he moved back to New England to help her, enrolling at Boston College and playing there for the next few years. 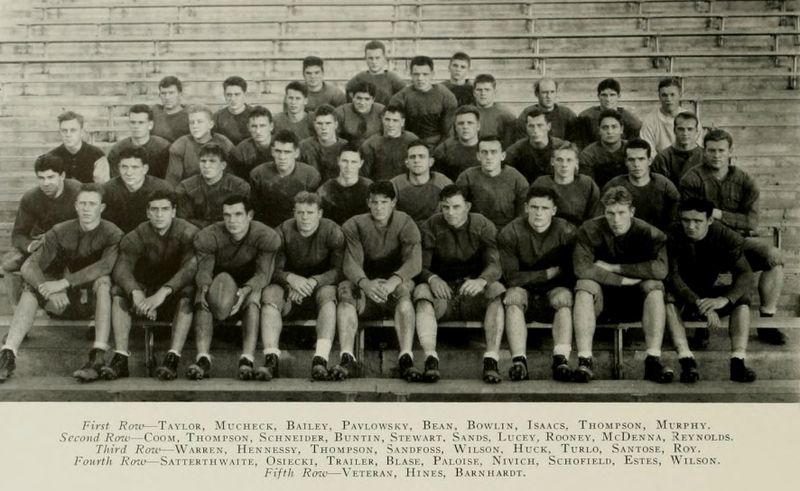 His 1939 BC team went to the Cotton Bowl, where they lost a defensive battle to Clemson 6-3. He graduated BC (where his son and grandson would also attend) with a Bachelors in Education and later went on to coach the Saugus High School and Boston College football teams. He was also the Registrar of Motor Vehicles for Massachusetts in the early 70’s. “Big Dave”, as he was known to me, was my 1st cousin 2x removed and a wonderful guy. Dave died in 1997 when John was very young, but they did meet several times. I think he would have been quite pleased with this coincidence. 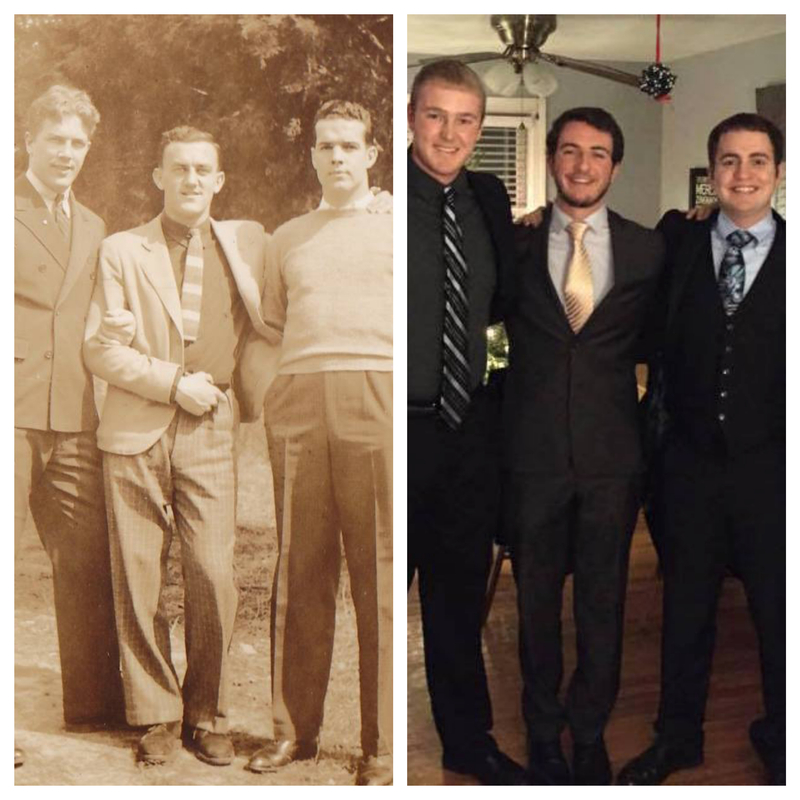 Well-dressed David J Lucey, 1936 and John Lucey, 2014, flanked by friends at NC State. Congrats John, we are so proud of you! Other photos used courtesy of David J Lucey III, grandson of David. 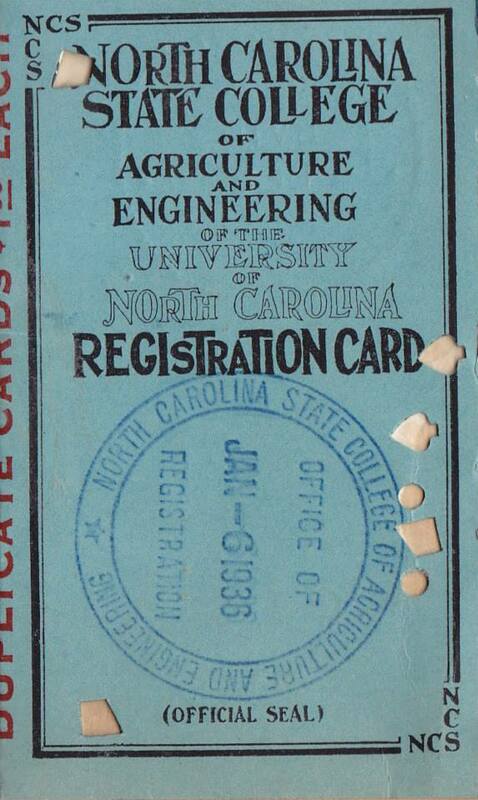 This entry was posted in 52Ancestors, Lucey and tagged college, family tree, genealogy, NC State, ncsu, North Carolina State University by dave. Bookmark the permalink. Congrats John! That was a fast 4 years! Love the juxtaposition of the two photos of young Luceys and friends.